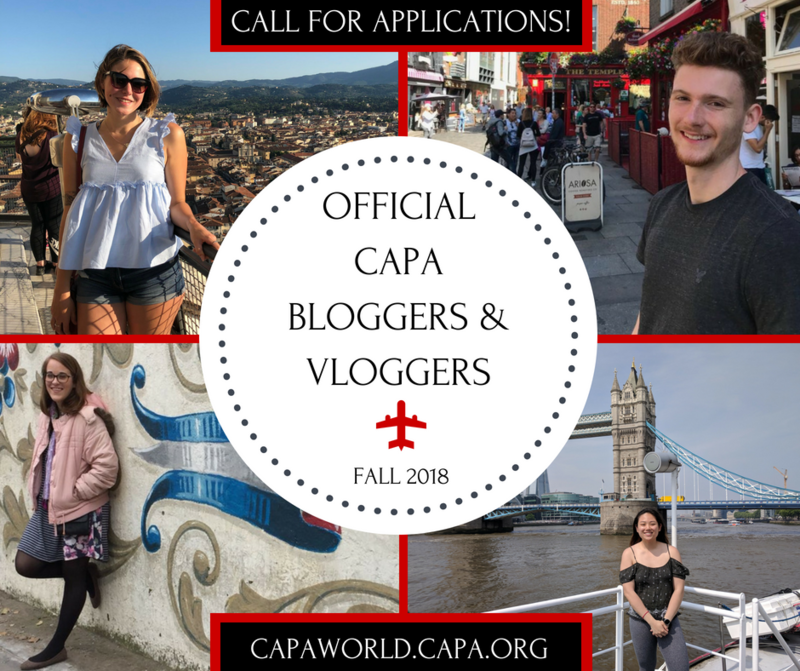 Will you represent your study abroad city as one of our official CAPA bloggers or vloggers for Fall semester 2018? Depending on your program length, each student on our team of storytellers will receive a grant of up to $425 along with up to $225 as an explorer fund to help you create awesome weekly content for the CAPA World blog. 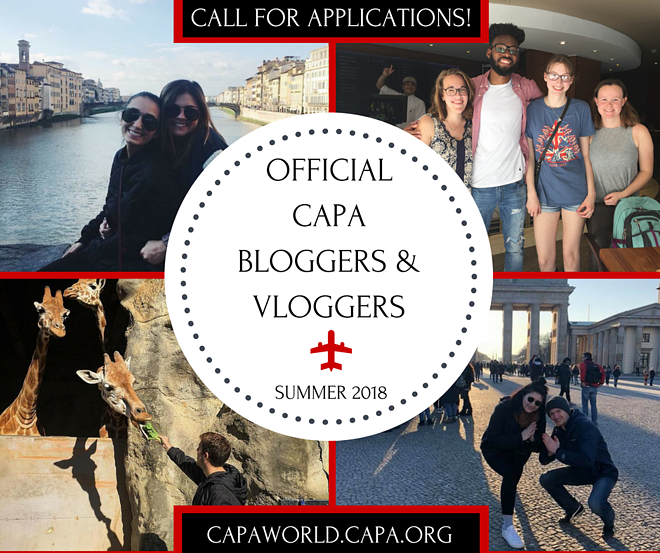 Will you represent your study abroad city as one of our official CAPA bloggers or vloggers for Summer semester 2018? Depending on your program length, each student on our team of storytellers will receive a grant of up to $275 along with up to $135 as an explorer fund to help you create awesome weekly content for the CAPA World blog. CAPA The Global Education Network joined with the Fund for Education Abroad (FEA) as an Access Partner to provide financial accessibility for underrepresented U.S. undergraduate students participating in our study abroad programs, furthering CAPA's long-standing commitment to diversity and inclusion. Seven of the record-breaking 100 scholarships awarded by FEA this cycle have been granted to CAPA students. The students come from a variety of racial, ethnic and socioeconomic backgrounds and represent higher education institutions across the country. Students will spend four weeks or more in the country of their choice on scholarships of up to $5,000, earning academic credit toward degree completion on a CAPA program, while blogging for FEA and CAPA about their experience. In collaboration with the Fund for Education Abroad (FEA), this FEA-CAPA scholarship opportunity will provide up to $5,000 for students in financial need. We are pleased to announce that we have partnered with the Fund for Education Abroad (FEA) as an Access Partner, on a new scholarship opportunity that will provide financial accessibility for underrepresented U.S. undergraduate students to participate in our study abroad programs. This partnership furthers CAPA's long-standing commitment to diversity and inclusion. 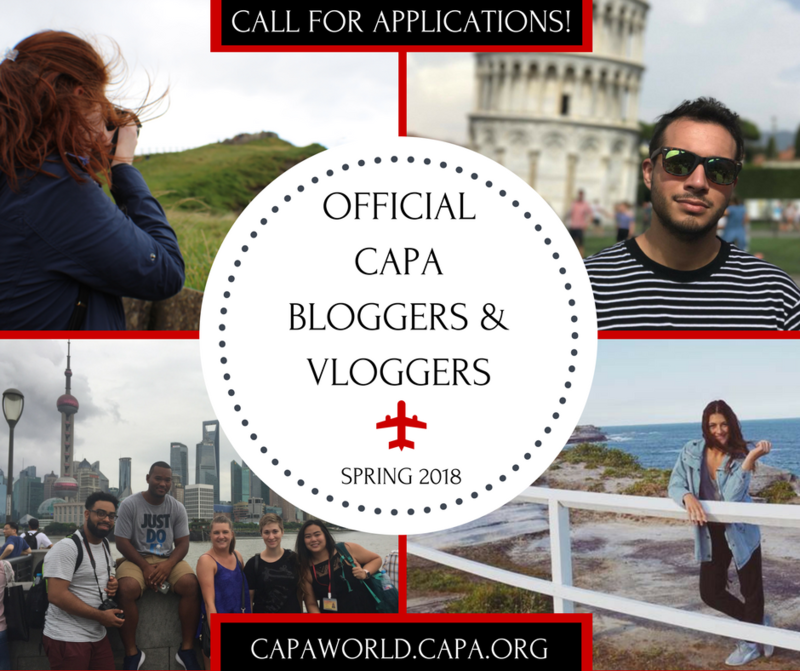 Will you represent your study abroad city as one of our official CAPA bloggers or vloggers for Spring semester 2018? Depending on your program length, each student on our team of storytellers will receive a grant of up to $500 along with up to $270 as an explorer fund to help you create awesome weekly content for the CAPA World blog. Thaddeus is an official CAPA blogger for fall 2017, sharing his story in weekly posts on CAPA World. A BFA major at the University of Minnesota - Twin Cities, he is studying abroad in London this semester. In his first post, Thaddeus talks about how his study abroad in London motivated him to save money, eat healthy, travel to Italy, and immerse himself in classical texts. When I was deciding on where to go to college, I knew that I needed to find a program with some sort of global perspective opportunity. Luckily, the University of Minnesota/Guthrie BFA Actor Training Program requires its students to study abroad as part of the curriculum and degree requirements. After hearing about that opportunity, I immediately knew that this program was the strongest choice for me as an artist. Photo: Me & Mauro. Meeting up with an old Twitter friend before the program started. 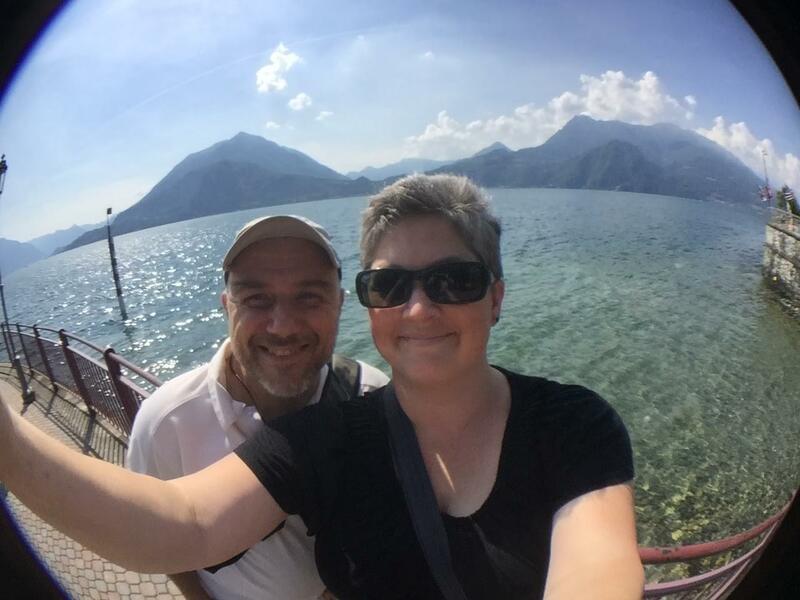 I never thought we'd ever meet in real life, but here we are enjoying Italy! What a treat. Meet Sara Pressler, a Public Administration major and Honors Studies minor from Texas State University who is studying abroad in Florence this semester, summer 2017. Below, she talks about being a recipient of the Gilman Scholarship, why she chose to study abroad, and ways you can look for more scholarship opportunities. SARAH PRESSLER: My study abroad program has brought me from Texas State University in San Marcos, TX, to Florence, Italy. I'm finishing up my bachelor's degree in Public Administration and my minor in Honors Studies. In the fall I'll begin working on my Masters in Legal Studies with ABA Paralegal Certification. Texas State University is currently the only college in the state of Texas to offer a combination degree program where you earn your Masters AND certification as a Paralegal through an ABA (American Bar Association) program. It's an amazing opportunity for those of us who want to work in the legal field but do not want to, or cannot, attend law school. I'm looking forward to diving into the program! Other than academics, at the moment, my hobbies and interests are focused on my four children ages 20, 17, 15, and 13. Between home life and academic life, the only other interest I have is napping! 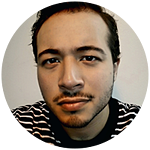 Emmanuel Rodriguez is an official CAPA vlogger for spring 2017, sharing his story in weekly posts on CAPA World. 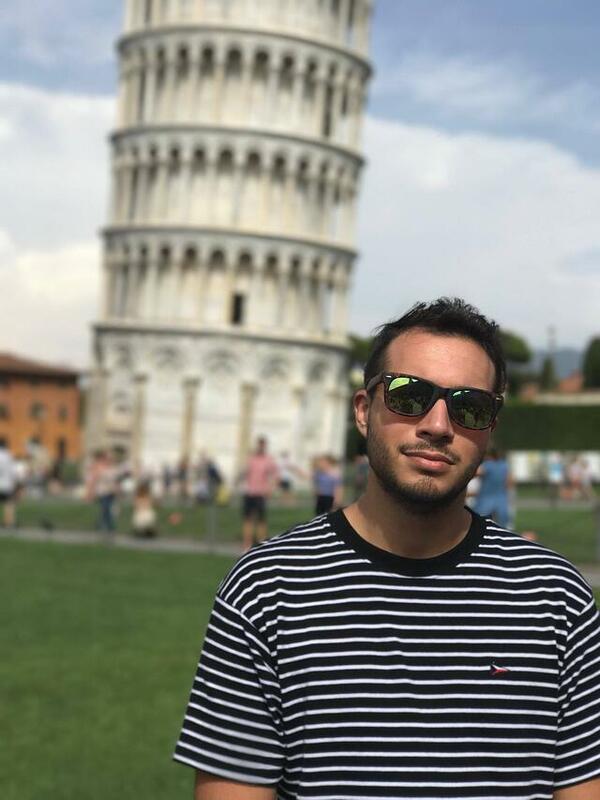 A double major in cinema & screen studies and studio arts: graphic design at SUNY Oswego, he is studying abroad in Florence this semester. In this week's post, Emmanuel shares his top tips for funding your study abroad adventure. Emmanuel's journey continues every Tuesday so stay tuned! Elizabeth Sheeley is an official CAPA vlogger for fall 2016, sharing her story in weekly posts on CAPA World. An accounting and finance major at University of Pittsburgh-Greensburg, she is studying abroad in Sydney this semester. In this week's video, Elizabeth shares the top budgeting tips she's learned so far now that about a third of her program has been completed. 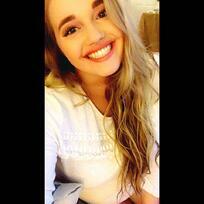 Elizabeth's journey continues here on CAPA World every Monday. Bookmark her profile and stay tuned! Financial aid can be tricky to navigate. Between different types of loans, grants, words like “subsidized” and private vs. federal loans, it’s difficult to decide what’s best for you on your own. 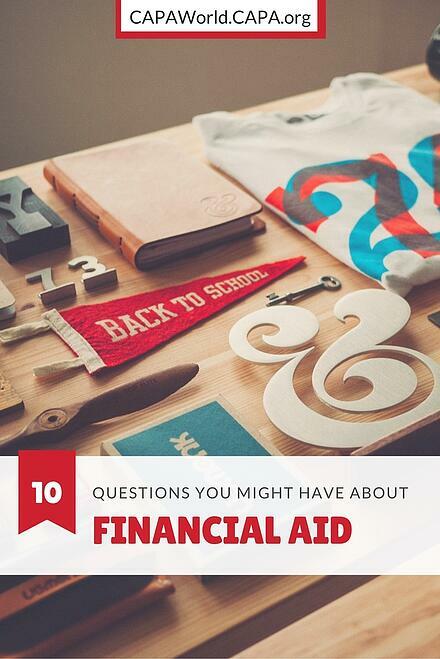 Here are the top 10 questions to ask your financial aid advisor, so you can get the best advice and make the right choices for your financial future.